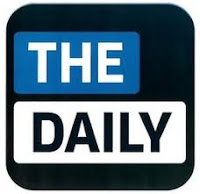 After nearly a full year as an iPad-exclusive publication, The Daily is now arriving on some Android tablet devices. The News Corp.-owned publication has teamed up with Verizon Wireless to develop the first Android version of the newspaper app, which will be made available by subscription on the Samsung Galaxy Tab 10.1 tablet beginning this month. Owners of the device will receive The Daily as part of a software update. The app will also come preloaded on future Samsung Galaxy Tab 10.1 tablets, the recently announced Samsung Galaxy Tab 7.7 and a host of other compatible devices.